Ally currently works at the School of Nursing and Midwifery, Newcastle University. Previously she worked as an Associate Professor at Flinders University in the School of Nursing and Midwifery, where she was Honours Coordinator until March 2017. She is the Chair of the World Association Disaster Emergency Medicine Nursing Executive Committee and on the Management Board of the Flinders University Centre Disaster Research Centre. Alison’s work revolves around creating safe supportive environments for young people at large public events such as outdoor music festivals and Schoolies. 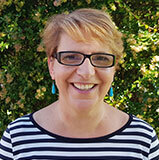 Alison has authored many publications on creating supportive environments for adolescents in health care. She is an advocate for the rights of children and young people. Ally joined AWCH in 2006 and was President of AWCH from 2010-2017.